Hippity hoppin', Easter's on its way...I'm still trying to wrap my head around the fact that this Sunday is Easter. We probably all sound like broken records over here, but this time thing is so tricky and how it goes by so fast will always be a mystery. I have always love this time of year for so many reasons. There's just something about that spring air, longer days, and warmer weather. Once spring hits and we know Easter is right around the corner, it always gives me so much to look forward to. 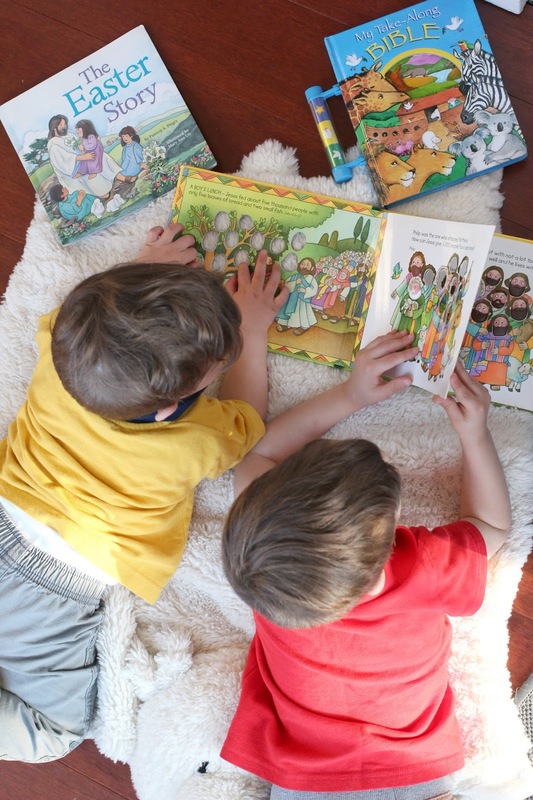 I am all for having Easter fun and doing egg hunts, seeing the bunny, and making memories with my nuggets, but the foundation of this holiday is what really matters to me. The Easter story. From a young age we wanted to make sure we are teaching the nuggets about why we celebrate Easter. 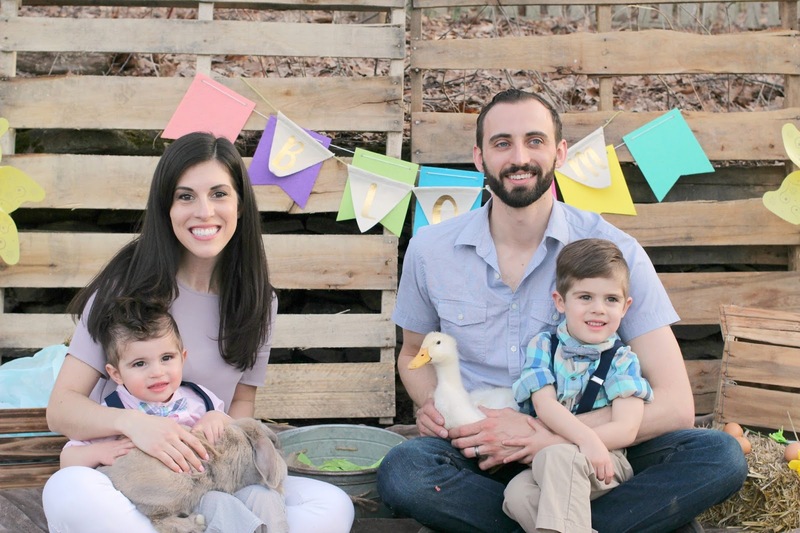 A few weeks leading up to Easter, we talk to the boys about all the fun we'll be having and make sure we explain to them the reason behind Easter and the sacrifices that Jesus made for us. This is great to do with books and visuals because trying to explain to a three year old that Jesus is all around us but we can't actually see him can almost come off as kind of creepy for a toddler. Just saying. I love seeing them learn and asking questions which really shows us they are listening and trying to understand all of this. 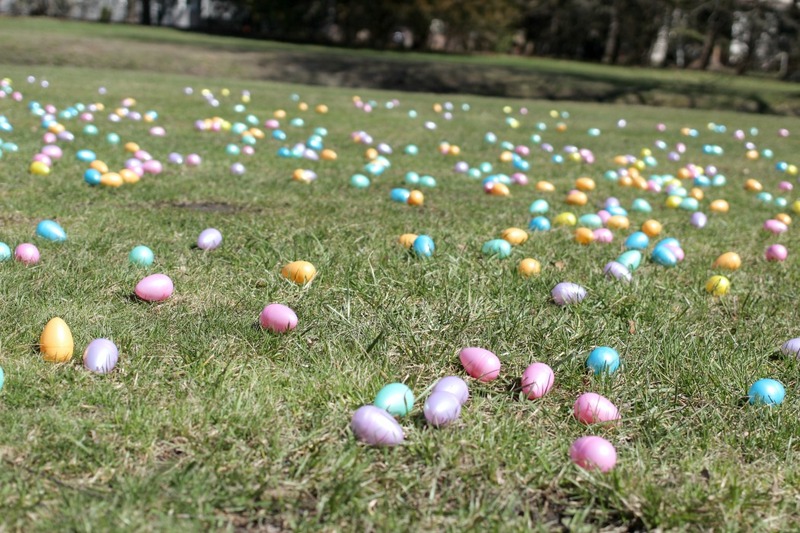 Easter Egg hunts. We've been going to hunts since A was a year old. 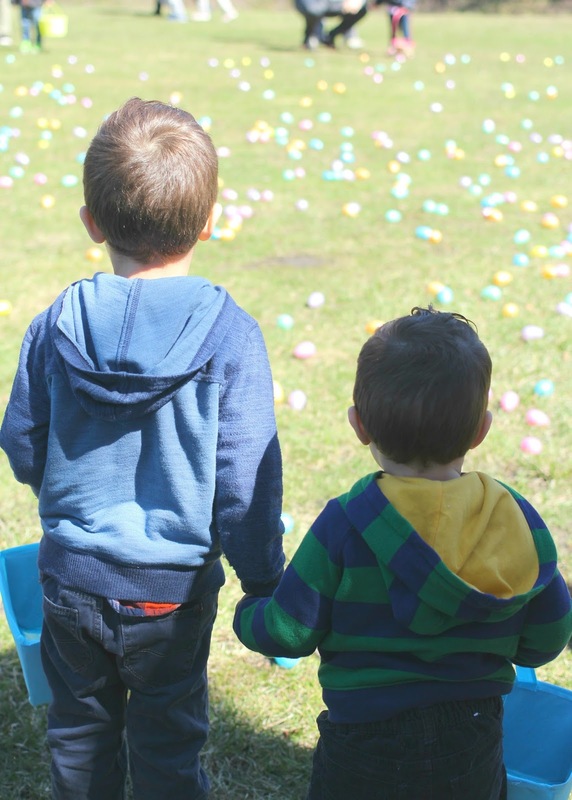 We loved seeing him pick up the eggs and having a great time, and it's now turned into a fun tradition for us every year. Although, this is the first year little nugget joined in on the fun because last year he wasn't walking yet. I'm also looking forward to carrying out a tradition that my mother in-law started with her kids. Ever since they were little, they would get what they call a "light egg" mixed in with their other Easter eggs. 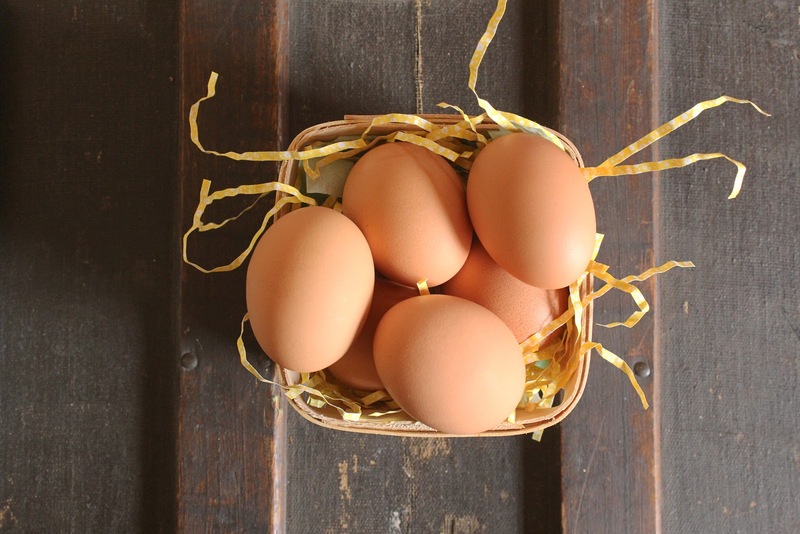 Why is it called a light egg? Well that's because she puts $5 in there and it feels light as air compared to the other eggs with treats or candy in them. We'll be setting up an egg hunt for the boys in our backyard on Easter and I thought it would be fun to plant two light eggs around for the adults to try and find. Our version of dying Easter eggs. We started this when A was little and it worked out really well for us so we decided to just continue with it. I am not a fan of that stinky smelly vinegar and a mess of dying eggs. I didn't even enjoy it when I was a kid. It also really weirds me out if there is a slight crack in the eggshell, and then you go to peel it off and your actual egg is colored. Ugh, gag me! Haha, I know that's a little dramatic but we all have our things. 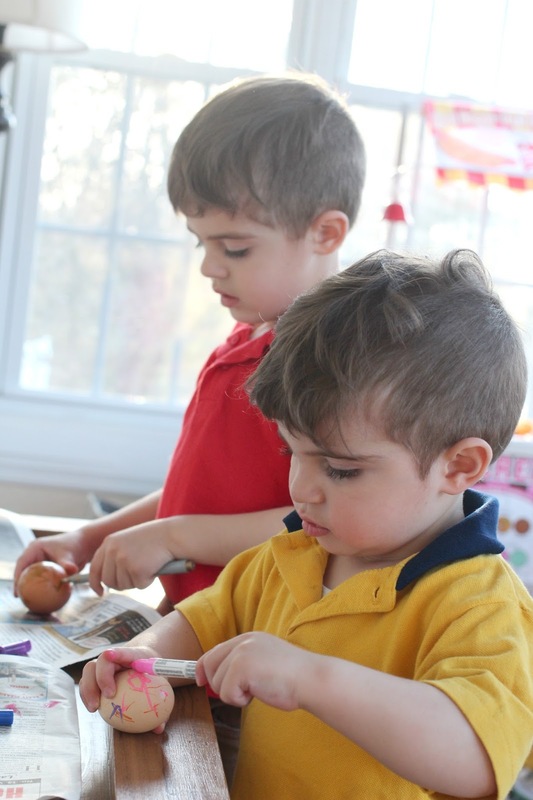 Now we just take paint pens and let the boys design their own eggs. I also love that this taps into their creative side a little more than just rotating an egg in colored water. The tail of Peter Rabbit. 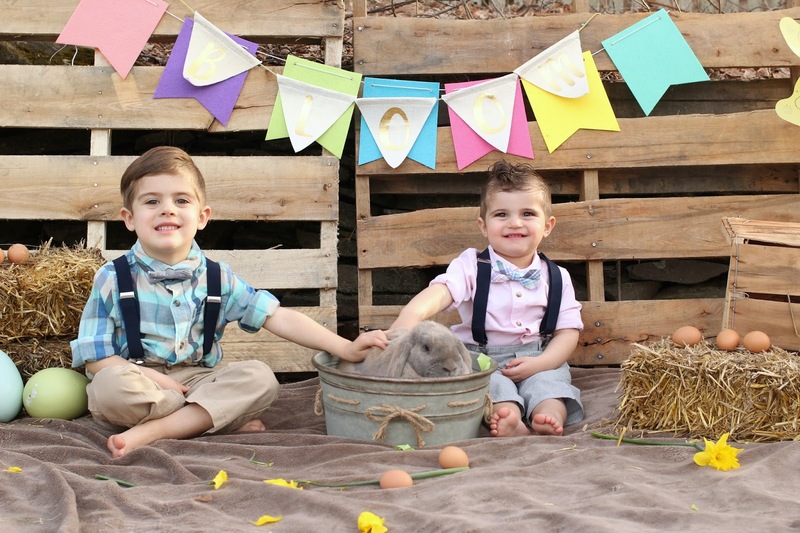 You guys, this is becoming my favorite Easter tradition and I really hope we can do this for many more years to come, or at least until the boys get too old for pictures. That will never happen, right? In case you missed it, I shared yesterday about a photo shoot I put together for the nuggets with live animals. We also did this last year and now I feel like it has to happen every year. Or we just need to get our own rabbit and I can take all the cuddly bunny pics all the time. It's just so much fun to share in the excitement with the boys and of course cuddle on that fluffy bunny. A time to worship. Before we even give the boys their baskets they know that church comes first. We regularly attend an amazing church near us so this Sunday morning tradition is no surprise to them. In my opinion it's the most important part of the day. Easter baskets. I don't know why but for some reason I tend to go overboard with their baskets. I don't even go overboard with things for Christmas so I'm not really sure what happens here. Maybe it's because they're smaller items that I know will get used, or because a lot of the items are for outside and I don't have to get anxiety about my house being overwhelmed with toys. 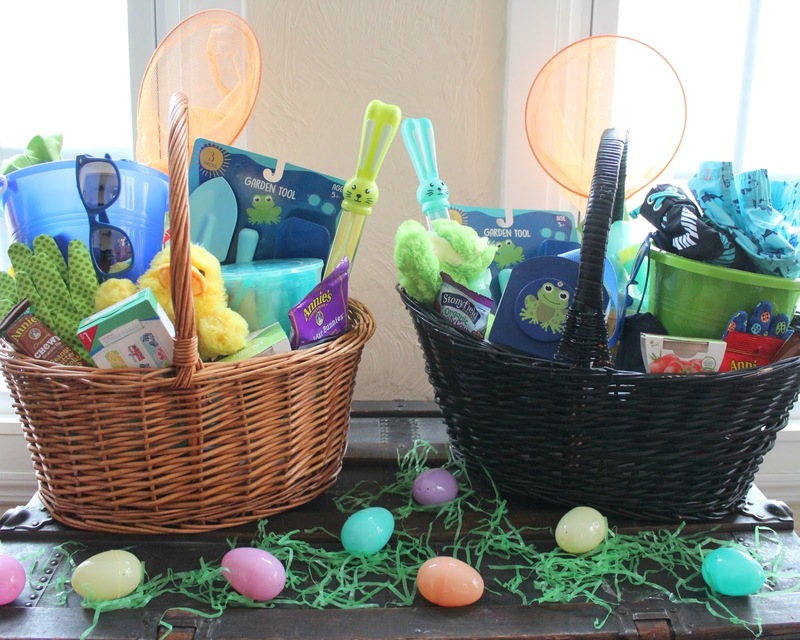 Whatever the case is, their baskets are big and filled with a lot of fun non-candy items. 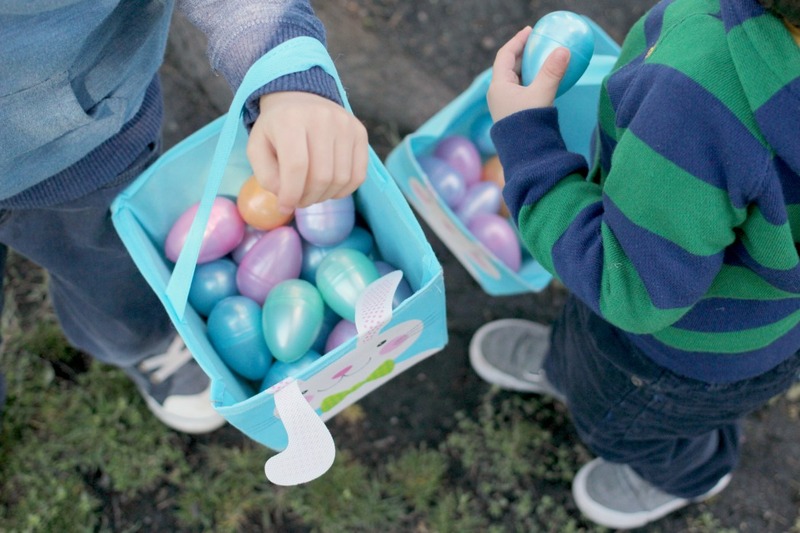 As I mentioned before we don't give the boys their baskets until after church because we feel the focus should be on why we celebrate the day and not what's in your basket. If you are still looking for some last minute basket ideas you can read more about what I'm putting in their baskets. Family time. Aside from all of the fun leading up to Easter one of my favorite parts is spending time with family. We always enjoy a great meal and time to catch up and be together. The clean up part is my least favorite but thankfully there are many hands to help out with that. Now, on to some link up fun. I hope you will continue to join us for our Girl Chat Link Up. 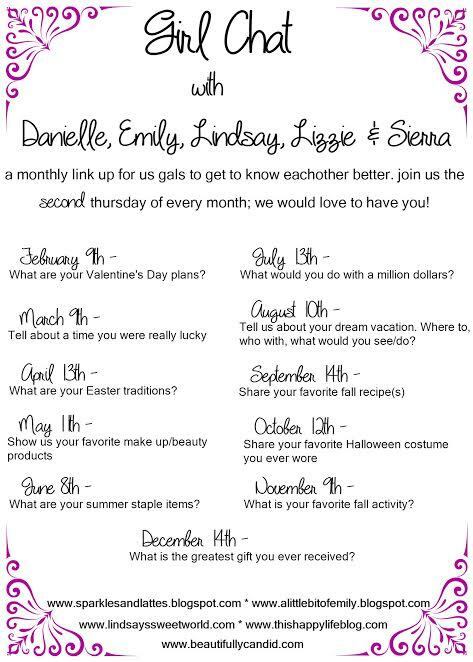 Next month we'll be talking about our favorite beauty and makeup products.